MajorLeagueMommy was created by Briana Marie in the spring of 2015. After giving birth to her youngest child in October 2014, Briana spent several months as a stay at home. Spending all her time with a 3 year old and newborn at her side inspired her to do something kinda crazy…. She started a blog as if she actually had the free time to run it. She wanted to connect with other Moms and document her wild experiences as a mother of 2. Eventually, Briana found herself back in the workplace missing her children terribly as they spent their days at a daycare. 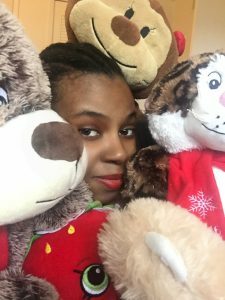 She earned her BA in Communications in the winter of 2015, and decided that she was ready to be her own boss. Briana soon started her career as a freelance writer and blogger. 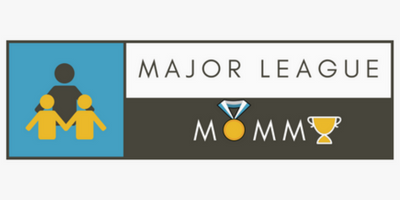 MajorLeagueMommy was no longer just a hobby, it was a business. She found herself working in the special events and marketing industry for a couple more years before resigning in May 2017 to become a full time blogger. Briana now earns a living as a blogger, freelance writer, and digital marketing manager. You can visit her Work with Me page to check out the services she currently offers. When Briana is not typing away at her computer, she enjoys running her family’s YouTube channel I Dream of Toy Towers. She also enjoys yoga, traveling, and as she likes to say, “Unleashing her inner child.” She is super silly (a tad bit sarcastic), and loves having fun with her family. You can follow Major League Mommy on Facebook, YouTube, Twitter, Instagram, and Pinterest to keep up with the Motherhood Madness. Enjoy!